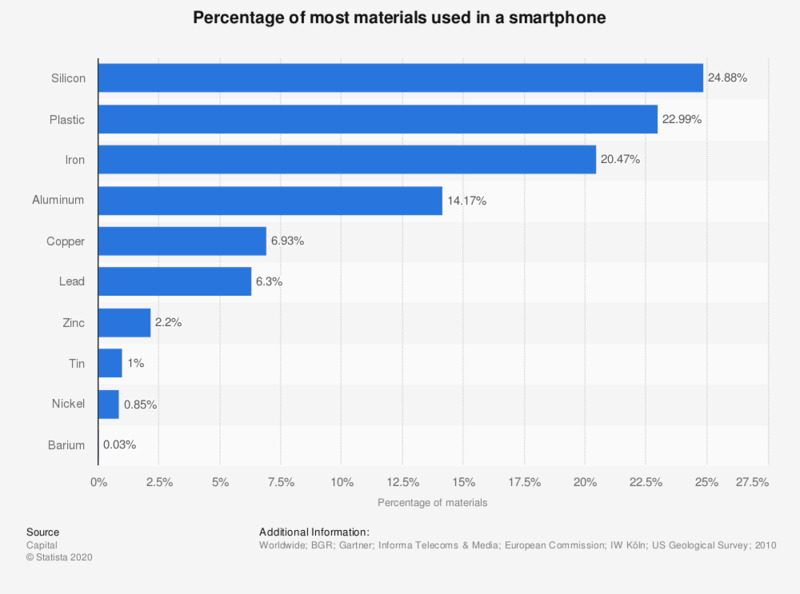 The statistic shows the percentage of the top 10 materials in a smartphone. A smartphone contains 20.47 percent iron. Overall, there is an average of about 35 materials smartphone. Listed are the top ten materials. How long have you been using your current smartphone?